This article is part of a series from Colin Smith, the author of Momentum: Pursuing God’s Blessings Through The Beatitudes, which will be available to order in December 2016 at lifeway.com/momentumstudy. Read part one, part two, and part three. Sowing the seed is our work. Changing hearts is God’s work. And both are needed if there is to be a great harvest. God will be faithful in preparing the ground. The whole point of Jesus’ story here is that where the seed is sown, there will be an abundant harvest. God is always at work to plow up hard and stony ground. That’s a marvelous encouragement. You may share the Word of God, and as far as you are concerned, it fell on hard ground. But you do not know where God will be plowing next week! When the plow comes, the seed gets tipped into the open ground and everything is changed. God will be faithful in plowing; therefore, we must be intentional in scattering the seed. We must be intentional about sowing the seed. Plowed-up soil won’t raise a harvest unless the seed is sown! What a tragedy it would be if God were to open the heart of someone near to us and we did not plant the seed. The finest seed will not raise a harvest if it is still in the barn! It must be sown in the ground. When you sow the seed, you don’t dump a whole pile of it in one place. You have to scatter it widely. Scatter the seed indiscriminately because you do not know where God is plowing the ground. You do not know where He was plowing last week. You do not know where God will be plowing next week. So scatter the seed widely! If we are serious about extending Christ’s kingdom, this will be the core of our ministry. How many pastors are responsible for the ministry of sowing the Word? All of us. How many members of the congregation are called to be sowers of the Word? All of us. The ministry of those who lead and teach others is twofold: (1) to sow the Word of God in our own lives, and (2) to sow the Word of God in the lives of others. And Jesus says this will bring a harvest: 30, 60, even 100 times what was sown. Thirty times what was sown would be a bumper crop. Sixty or 100 times what was sown would be a harvest greater than anyone, at least in Jesus’ day, could imagine. God can do more than you think in your life through His Word. God can do more than you think in the lives of other people by His Word. When the Word of God gets into the soil of your life, there is no telling what God will raise up in and through you. How will God establish His kingdom in a world that rejects the King? How can we hope to see hard-hearted, shallow, choked-up people living under the blessing of God’s rule? We sow the seed. God plows the ground. And there will be a great harvest. On the last day there will be a great multitude surrounding the throne, praising the Lamb and living under the full blessing of the rule of God. How did they get there? God’s people sowed the seed. God’s Spirit plowed up the ground. And there was a great harvest! SUMMARY: In this episode, Brian and Chris speak with Dr. Todd Engstrom, Executive Pastor of Ministries at the Austin Stone Community Church in Austin, Texas, about missional community as the centerpiece of church discipleship. Todd shares the theological, philosophical, and practical goals that his church pursues in an effort to meet people where they are and then lead them to a missional purpose. Todd also discusses how to train leaders in a discipleship program focused on missions and evangelism. In addition, Brian and Chris discuss three ways to enact a new strategy of missional community in a church’s current discipleship program. GUEST: Dr. Todd Engstrom is the Executive Pastor of Ministries at the Austin Stone Community Church in Austin, TX. He also directs the efforts of the Austin Stone church planting, which includes training, resourcing, and appointing church leaders to glorify God wherever they are. He regularly speaks, writes, and consults with churches on the topics of missional community and organizational leadership. He is husband to Olivia and father to five kids and serves as a missionary in his neighborhood. You can connect with Todd online at toddengstrom.com or on Twitter at @toodus. EPISODE SPONSOR: This week’s episode is sponsored by Disciples Path: The Journey, a yearlong program of discipleship working toward maturity in Christ. It’s a purposeful process covering four volumes, 13 sessions each. The Journey was created to nurture believers into disciples who make disciples. 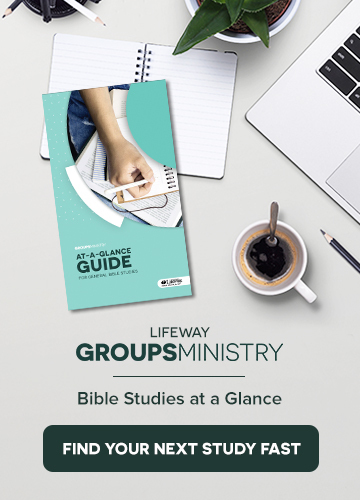 Find more information at lifeway.com. Go. It’s the last command Jesus gave us in Matthew 28:18-20. We call it the Great Commission. We also call it evangelism. Whatever we choose to call it, Jesus instructed us to do it. At its core, the Great Commission, evangelism, is sharing the good news of salvation, forgiveness, and grace. Without those things, we would all be lost without hope, without a savior, and would have to endure the consequences of sin—death. Our world is bombarded with the consequences of sin. Everywhere we turn, we see the effects of a fallen world and many who live without hope. Someone must share hope with them. Jesus said it’s us. You and me. We can be pretty good at participating in evangelism events. We go on mission trips. We donate cookies to Vacation Bible School. We financially support missionaries. Those are all great ways to further the gospel and are most definitely used by God for His glory. But we can’t stop there. Do we, personally, tell others the good news of Jesus Christ? It’s not that we don’t want to. It’s that some of us think we don’t know how. Or think we have to memorize a certain acronym in order to share the good news of salvation, forgiveness, and grace, and if we do it wrong God can’t use it. Others feel confident in sharing the good news but don’t know how to inspire others to do the same. It’s time for that to change. We can become confident in and passionate about sharing our faith as we go about our daily lives. And as we go, we can inspire others to do the same. Places like our offices, the grocery store, and the ball field are our daily mission field. We will change the world with the good news of the gospel of Christ when we are faithful to share with others. Small groups are a great place to learn, encourage, and equip Christ followers to share the good news of salvation, forgiveness, and grace. Bible Studies for Life offers small group materials to remind us why evangelism is important and equips us to share with others. It can also give us a jump start in encouraging us to be passionate and consistent in telling others the good news. And what better place to practice sharing our own personal gospel story than in a small group of believers? Take some time in your small groups to focus on Jesus’ command to go. Evaluate together your personal passion for sharing salvation, forgiveness, and grace, and discuss practical ways to share hope in your daily life. Dr. Ronnie Floyd has been a pastor for over 38 years. Since 1986, Pastor Floyd has served as the Senior Pastor of Cross Church, Northwest Arkansas. In June 2014, Dr. Floyd was elected President of the Southern Baptist Convention, and in June 2015, Dr. Floyd was nominated and elected to a second term. Dr. Floyd’s ministry as a local church pastor has been one of commitment to evangelism, discipleship, and the advancement of the gospel to America and around the world. 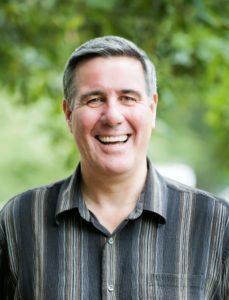 Beyond his church and denomination, Pastor Floyd has spoken at many national and international conferences such as Promise Keepers and has been featured on numerous television and radio programs including Focus on the Family. Pastor Floyd has authored 20 books including The Power of Prayer and Fasting, 10 Things Every Minister Needs to Know, Our Last Great Hope: Awakening the Great Commission, and FORWARD: 7 Distinguishing Marks For Future Leaders. He and his wife, Jeana, have been married for 38 years. They have two sons, Josh and Nick, and seven grandchildren.